This article is a continuation from my interview with Lidia Bastianich at Felidia in New York City. You can read Part 1 here. “We need to go back to basics. Fifty percent or more of what we do to prepare food is about the product. 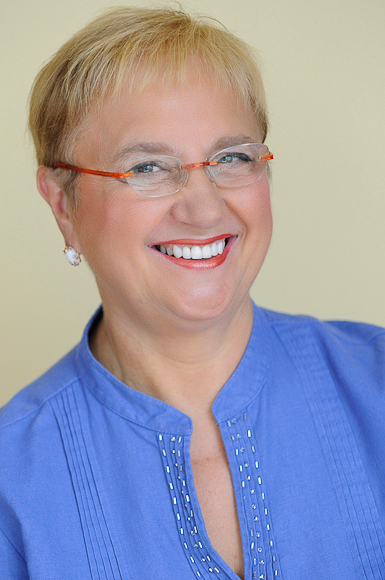 The better the product, the less I have to do to it and the better the end result,” Lidia Bastianich told us. She is passionate about getting back to basics in both food and in life. 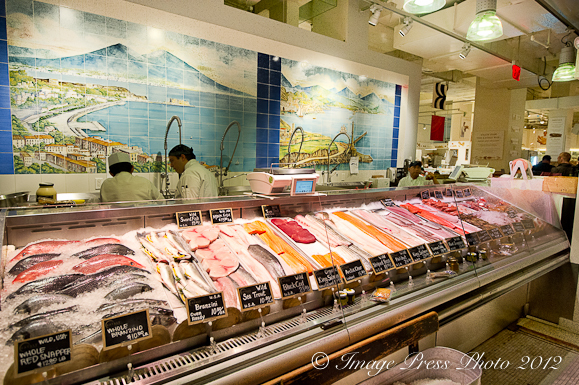 If you ever have the opportunity to visit Eataly (an Italian artisan food market in New York City co-owned by Lidia, Joe Bastianich, Mario Batali and Oscar Farinetti), you will find incredibly beautiful food: meats, fish, shellfish, breads, produce, and pastas. Fabulous basic ingredients. As you know if you cook at home, there is a huge difference in the outcome of a dish based on the quality of the ingredients that you use. We have often written about the decline in the quality of our food that is available through most supermarkets. Food is now designed for transportation, cost, appearance, and shelf life with little or no concern about the taste, nutrition, and health benefits. 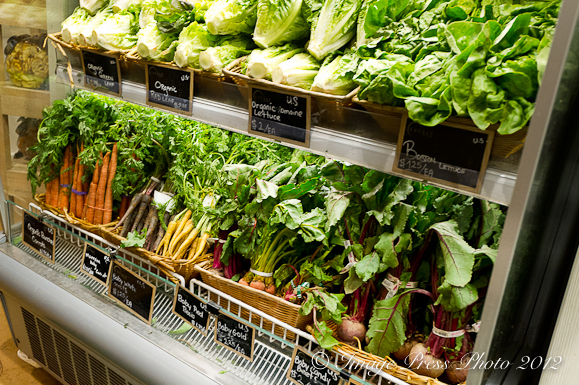 Good quality food that is properly raised and harvested satisfies the mind and body. Food lacking in natural flavor, vitamins, and minerals does not. We often try to overcome the lack of natural flavor with seasonings and spice, but it cannot compensate for foods that are lacking in flavor to begin with. Lidia talked about the same topic. “Most food doesn’t tell us anything. We eat a lot, but it is not satisfying. It is a problem. The Mediterranean diet is healthy. There is a lot of flavor and lots of color. Antipasto is intense in flavor. You have a few olives, meats, and cheeses and then maybe some pasta. Protein is only one third of what you eat. It satiates mentally. You need less and you are satisfied.” Lidia’s favorite pasta to cook at home is simply al dente pasta with olive oil, garlic, black pepper and Pecorino cheese. I love Lidia’s recipes and her approach to food. Linguini dressed simply in olive oil, garlic and cheese is one of life’s great pleasures. I have a 30-year-old Lidia recipe for gnocchi with veal and it is divine. Thanks for such a delightful interview with Lidia (both parts I and II). She is truly a woman—and chef—worth watching. It’s heartening to know that knowledgeable, passionate culinary “stars” still exist in today’s virtual world full of egomaniacs. Lidia is a class act and I love her authentic Italian style. 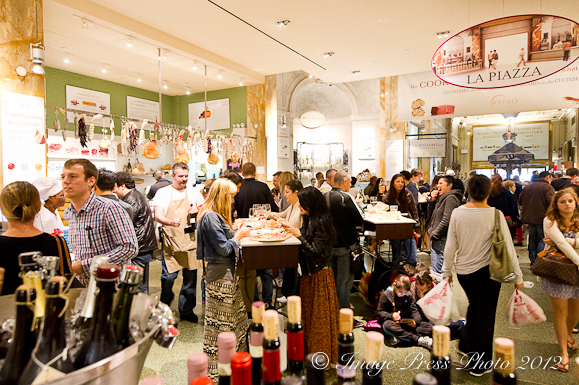 I am so bummed that I didn’t have a chance to go to Eataly when I was in NYC recently – next time for sure. And those Razor Clams look AH-mazing. Wonderful interview and great photos! Lidia gives a great interview. I was pulled in completely and surprised to find out that Asian food has been an inspiration to her. I also agree with her assertion that nowadays the ‘don’t eat this’ and ‘don’t eat that’ is kind of ridiculous. How can you enjoy life constantly restricting yourself? Eat what you want – portion control! By the way..Joe Bastianich’s ‘other’ ventures just so happen to include the ‘tough’ judge of Masterchef. LOL Did that come up at all? Thank you. We totally agree with all the negativity in the way people are told to eat. Rather, we should teach people to eat in moderation and eat the right foods. That is a far more sustainable way of managing your eating habits and diet throughout your lifetime. We did not talk specifically about Masterchef when Lidia mentioned Joe, but he is very involved with many of Lidia’s businesses in addition to his own ventures. 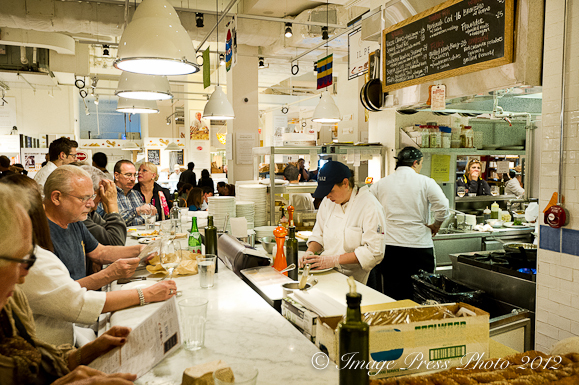 Love this part even more and just LOVE Eataly. 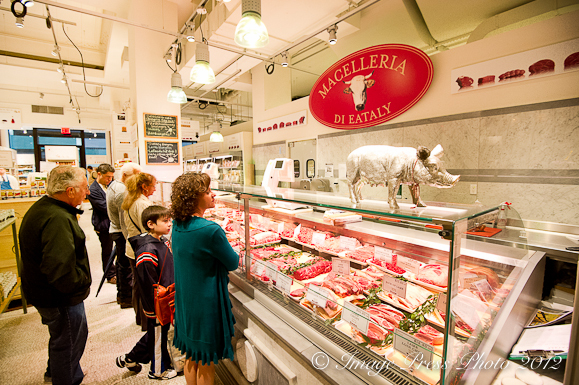 We’ve luckily been there twice and I really want to visit the Eataly in Torino next time we are there. 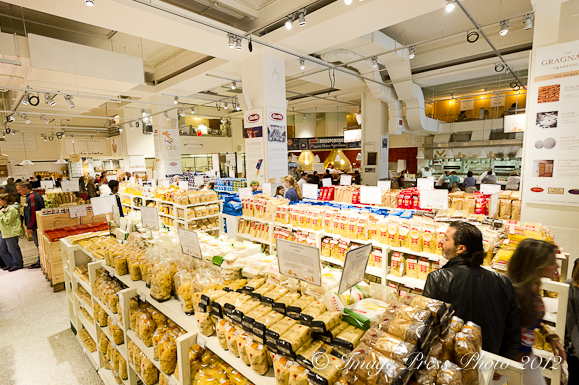 Fabulous products and the pasta section is simple and delicious like the way we love it. Good ? from Lisa. Did the Masterchef topic come up about Joe? :) Wonderful job and how lucky you were to have spent time with her. 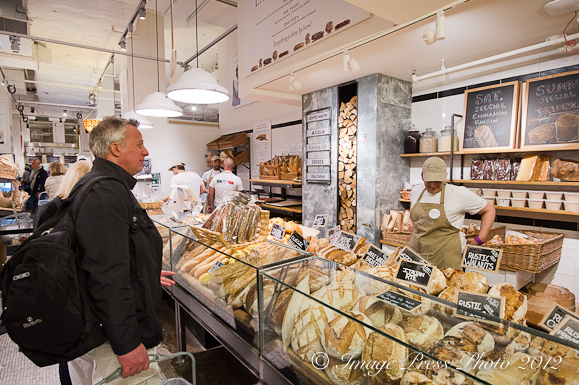 Yes, we need to go to Eataly! I still cannot stop thinking about how incredible it was. Lidia did talk about Joe and how much he is involved in the businesses and how close the family is, but we never discussed Masterchef. He has so many ventures he is involved in, so that was not singled out. Fantastic interview and article, Gwen. Just fabulous! I have to say that in moving to and living in both France and Italy I did indeed learn to enjoy food and eating food instead of my guilt and all the don’t’s guiding how and what I ate (or refused myself). I began taking great pleasuring in discovering fresh, seasonal ingredients and cooking and eating. And never felt better. She is absolutely right. The problem in the US (and you know how I feel) is the quantity of boxed, packaged and processed foods that exist that do not exist in France and Italy and people have gotten used to eating that. 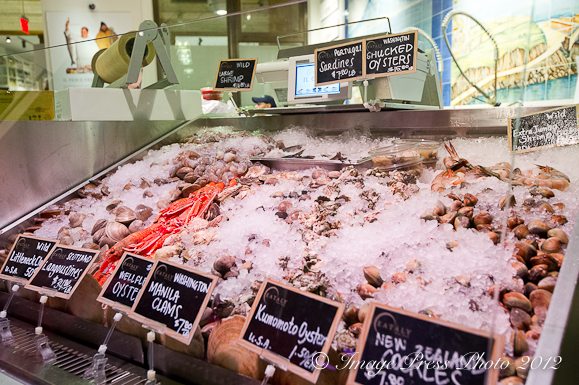 How hard it would be to get them to give it all up and try and rediscover the joys and pleasures of real, fresh food? 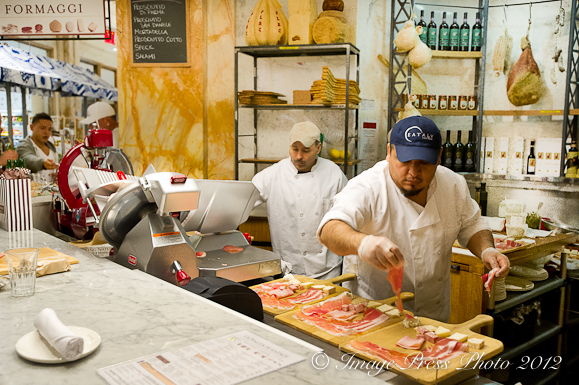 Eataly is amazing and I am so sad I didn’t take the time to go in and discover it when I was in NYC! Maybe I was afraid of being too tempted to buy and try everything?! But this peach crostata I willd definitely try! It’s fabulous! I have become very confident with making pie dough. I can’t believe I just said that. However, I have a lot of trouble with stone fruit pie or crostatas. I can never get the sugar right, and it is either too loose or too dry. It seems fine before it goes into the oven, but not so much after it has baked. I am very frustrated. Maybe the use of the sweetened bread crumb will be the answer. I am a little concerned about it being mushy from the crumbs. Your thoughts please.